Honda Jazz recently launched in India’s premium hatch back segment.Honda says customers are delighted to receive this small but beautiful and costly hatch eventhough we have seen only fewer Jazz compared to it’s competitors.Meanwhile in U.S. our Honda Jazz is known as Honda Fit undergoes facelift .Now 2010 Honda Fit aka 2010 Honda Jazz more details are available. 2010 Honda Jazz, is powered by 1.5ltr,four cylinder i-VTEC engine with five speed manual gearbox.Honda Jazz 2010 engine easily delivers 117hp power at peak.The manual variant comes with 13.3km/ltr fuel efficiency while if the engine coupled to the autobox same engine will yield 14.3km/ltr with ease. 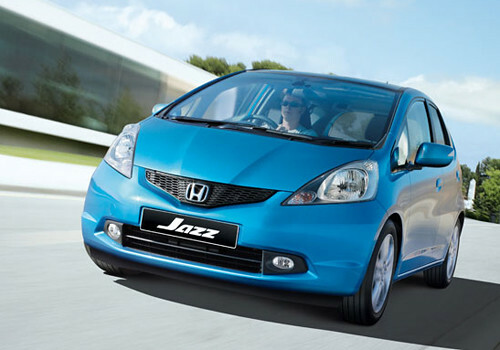 New Anti Lock Braking systems and surround air bag system are part of the new 2010 Honda Fit.Also there is a Vehicle Stability Assist Control in New Honda Jazz .Air Conditioning,power windows,electrically operated rear view mirrors and power door locks are also part of basic variant in 2010 Honda Fit. Sport trim variant of 2010 Honda Fit comes a six speaker audio system and satellite navigation system.A 6.5inch touch screen with voice recognition capability have been included.2010 Honda Fit/Jazz Spot trim has got a factory fitted underbody aero kit and fog lamps as well.Let us seen whether India also going to get same engine and features in coming days.